Home : Dr. Lynn Hamilton, Ph.D.
Dr. Lynn Hamilton teaches agribusiness principles, agricultural policy, and senior research methods. Her research interests include the regulatory environment faced by agribusiness firms, land use policy, and renewable energy. 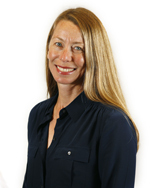 She serves as a director of the Western Agricultural Economics Association and serves a board member of the Agricultural Economics and Management section of the American Applied Economics Association. Cal Poly, the Western Agricultural Economics Association, the North American Colleges and Teachers of Agriculture, and AASCARR have recognized her for teaching excellence, and she has taught in London, Australia and China. Dr. Hamilton also held a visiting professor position at Michigan State University from 2004-2010 where she helped coordinate MSU Extension’s wind energy outreach project. She grew up on a beef cattle and tobacco farm in southern Ohio, and worked as program coordinator for the National FFA Organization prior to pursuing a graduate degree.